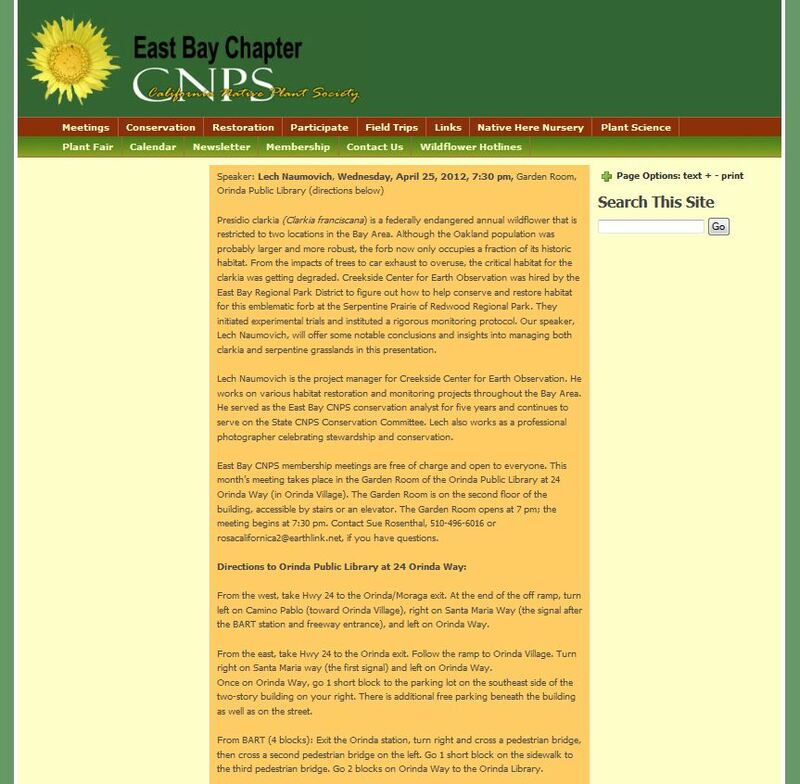 Lech Naumovich will be giving a free publicly accessible talk on Creekside Science’s project at East Bay Regional Park District’s Serpentine Prairie. The talk will take place on Wednesday April 25th at 730 PM in Orinda, CA at the public library. Presidio clarkia (Clarkia franciscana) is a federally endangered annual wildflower that is restricted to two locations in the Bay Area. Although the Oakland population was probably larger and more robust, the forb now only occupies a fraction of its historic habitat. From the impacts of trees to car exhaust to overuse, the critical habitat for the clarkia was getting degraded. Creekside Center for Earth Observation was hired by the East Bay Regional Park District to figure out how to help conserve and restore habitat for this emblematic forb at the Serpentine Prairie of Redwood Regional Park. They initiated experimental trials and instituted a rigorous monitoring protocol. 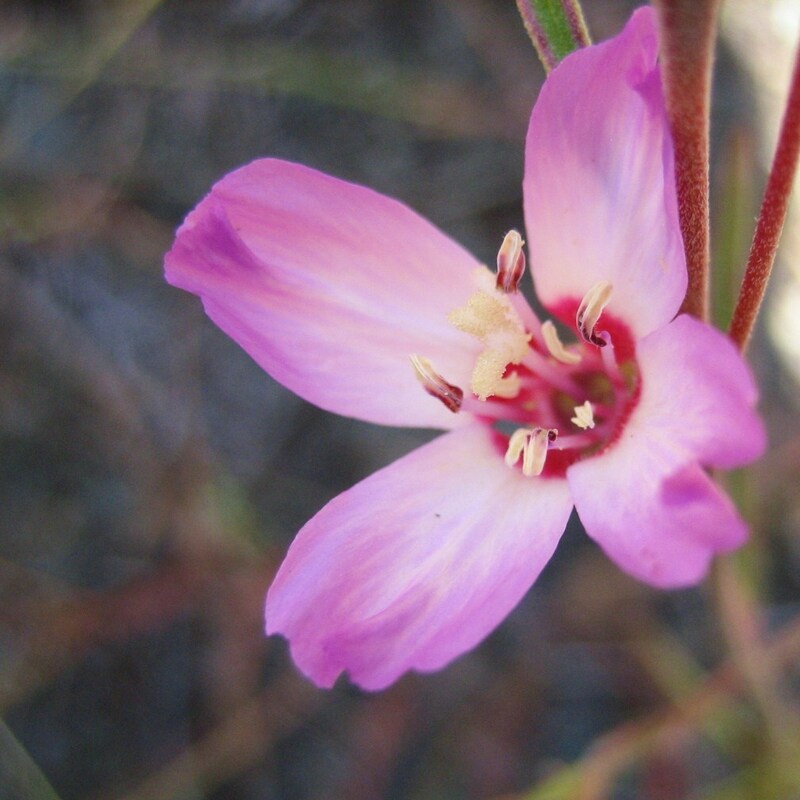 Our speaker, Lech Naumovich, will offer some notable conclusions and insights into managing both clarkia and serpentine grasslands in this presentation. Please see the following link (or the file below) for additional information.